John Ellison with his two boilers. A Lancaster businessman fined almost £9,500 for breaching smoke control laws says he is “very disappointed” at the court’s decision. John Ellison, who runs Ellison AC engineering firm on White Lund, was found to have breached the Clean Air Act by using boilers at his home that were not used and installed according to the manufacturer’s manuals. Mr Ellison, whose company supplies engineering plant rooms for clients including the Ministry of Defence and Heathrow Airport, denied the charge saying his equipment was exempt from the legislation covering smoke control areas. But he was found guilty, fined £450, ordered to pay £8,954 in prosecution costs and a victim surcharge of £45. The court heard that Mr Ellison’s home at Edenbeck Dales, off Sunnyside Lane in Lancaster, is within an area designated as a smoke control area.Following complaints made by residents in a neighbouring street of smoke coming from the property, Lancaster City Council went to investigate. 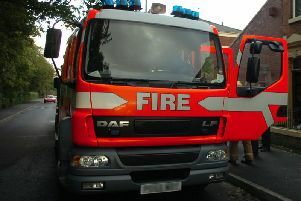 They saw smoke coming from the chimney for more than 90 minutes in breach of the smoke control area regulations. While the boilers themselves were exempt, the regulations required the appliances to be used and installed in accordance with the manufacturer’s manuals. An expert employed by the city council found a number of problems, including the removal of draught stabilisers and an incorrect lighting procedure, meaning that the equipment was not being used correctly in accordance with the manufacturer’s manuals. As the use and installation of the appliances was not in accordance with the manufacturer’s manuals the boilers were no longer exempt. Coun Karen Leytham, Cabinet member with responsibility for environmental health, said: “Smoke control areas exist for a good reason. In this case the lives of local residents were being affected by Mr Ellison’s actions. “The council was duty bound to act on the complaints and our case has been vindicated by the fact that Mr Ellison has now been found guilty. Mr Ellison was the first person in the UK to install two 50Kw Hoval Agrolyt gasifying wood burning boilers at his home and said he has since enjoyed cheaper energy and control over his own energy production.